Out West, Enterprise Rent-A-Car has long offered Nissan LEAFs and Chevy Volts in some of its rental fleets. Even in New York City, you can hit up some of local Enterprise lots to rent a plug-in vehicle. But not until now was that possible on the East Coast outside of NYC. Enterprise Rent-A-Car just added five Nissan LEAFs and a single charging station to its rental location in Northampton, Massachusetts. "We are excited to offer these new EVs and provide even more alternatives to our customers and neighbors in Northampton." "We selected this location because Northampton is a progressive community equipped with multiple charging stations that are open to the public. 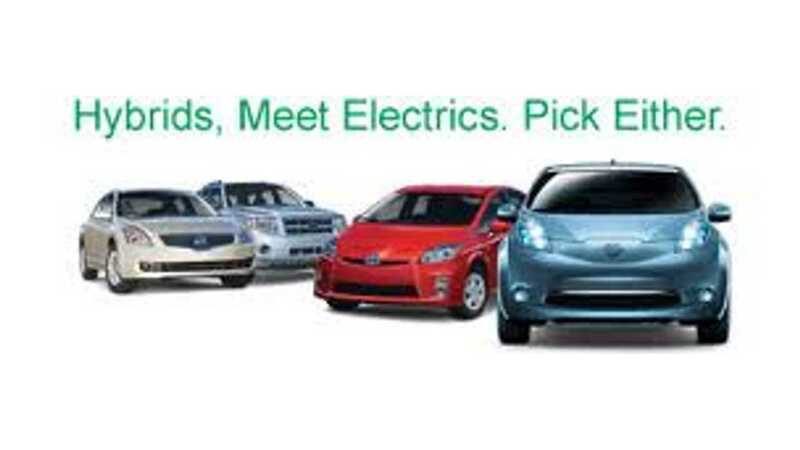 We are excited to offer these new EVs and provide even more alternatives to our customers and neighbors in Northampton." The EVs are in addition to the hybrid vehicles already available throughout Northampton and the surrounding area, thereby increasing local residents' access to these vehicles for daily, weekly and monthly rental. 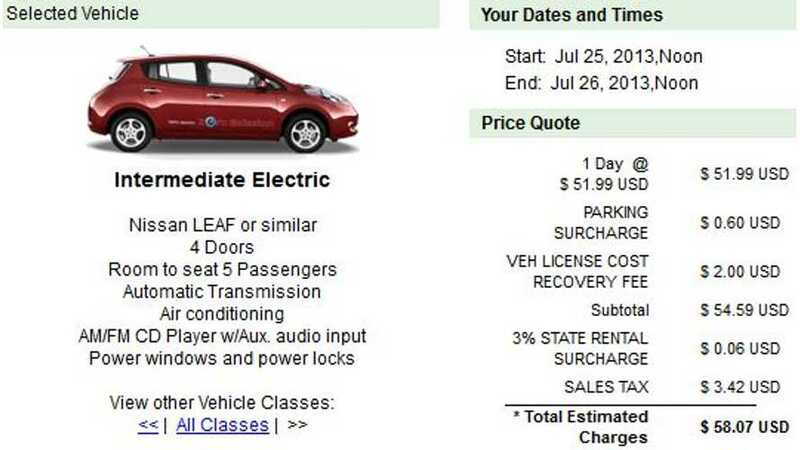 As you can see in the image above, the Nissan LEAF rents for just under $60 per day. That's comparable to the daily rental cost of a Nissan Versa or Toyota Yaris at the Northampton site. So, it's cheap to rent the LEAF.